I love getting ready for the Advent and Christmas season and am already planning our activities and decorations so thought you might like to do so too. I update this resource list each year but realize that many of you may not see that so thought that this year I would repost it too. In some ways I am a traditionalist when it comes to Advent celebrations. I love to set up our Advent wreath and decorate the Christmas tree. However I also like to get creative during the season and love to encourage others to do the same. Colouring Books are all the rage at the moment and there are plenty of them around for Christmas. Mandy Groce at Ministry to Children has created an excellent Advent Colouring Book for Kids that can be downloaded for free. I love these templates that Sybil MacBeth of Praying in Colour has made available for what she calls a count up, not a count down to Christmas. Here is a creative Advent prayer walk idea which Jodie Thomae will post during Advent this year – what she calls an ADVENTure walk. There are lots of ways to make Advent wreaths. It is a fun craft to do with kids and adults alike and may establish a new family tradition for you. 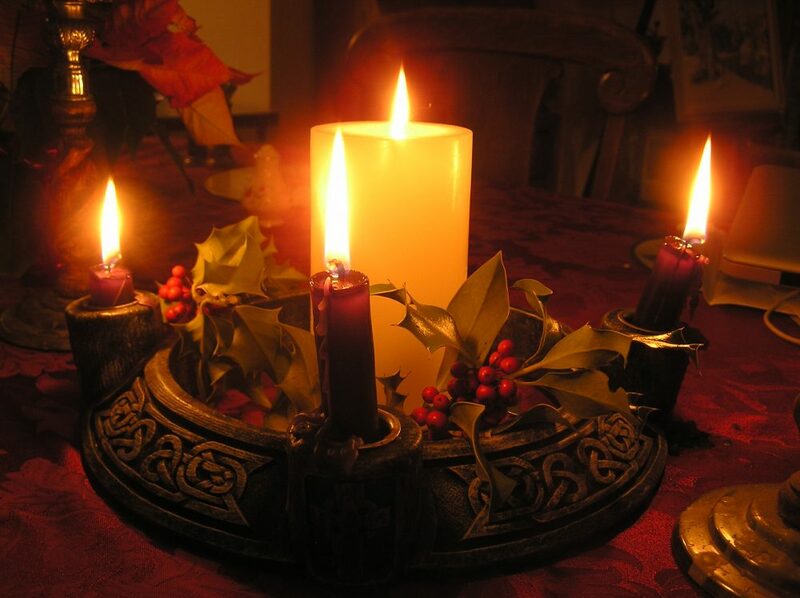 Here is a link to a fairly traditional Advent wreath. It does require an electric drill, fine tooth saw and wire cutters so obviously not something to let your kids do on their own. A succulent Advent wreath – and for those of us who collect succulents this is a great way to put them to good use over the Advent and Christmas season. We can also make wreaths to hang on our doors or windows. Here is a simple Advent wreath made from an old coat hanger – great fun for all the family. Or perhaps a junk wheel wreath with mason jar tealight. And I love this one for making an Advent wreath with children’s hand prints. One of my friends used her own and her husbands handprints for the wreath and gave it to give to her grandkids prints as an Advent gift. Alternatively get the kids to make the wreath and gift it to the grandparents! Go bird friendly with your Advent wreath and Advent decorations. We tried this a couple of years ago. The gelatine suggested in most of these goes moldy if you leave it inside too long, however we planned to try it again with lard which should be more durable and also nutritious for the birds but have not yet managed to do that. This is not a long standing Advent tradition but is associated with Waldorf schools in the United States. It has similarities to walking the labyrinth and I think is a wonderful tradition to consider establishing for your family. This site has great instructions for making an Advent spiral complete with Mary on a donkey with dough. Sparkle stories has another rather more ambitious outdoor winter spiral. Mountain Hearth has the most ambitious of all – a beautiful Advent walk that as they say really sets the mood for a different sort of holiday season filled with more stillness, reverence, contemplation and beauty amongst the prevalent hustle and bustle of shopping, parties, and general busy-ness that surrounds us in November and December. I love this Advent spiral design from Holland. This is an idea that I came up with a couple of years ago when I was feeling a little bored by the traditional Advent wreath which we had used for the last 20 years. I am a keen gardener and decided to create my own mini garden specifically for Advent. I filmed this short video to explain my process and the reasoning behind it. This was a very meaningful and fun way to celebrate the season. It has become an important Advent activity for me. In fact now I create meditation gardens for all the seasons of the year. I continue to work on this concept and find new inspiration each year. I loved this one from 2015. 2016 we were traveling so I did not make a garden. Then in 2017 I started experimenting with a little more creativity. This year I am thinking of some new ideas – asking myself “What plants speak to me of the season of “Advent waiting”. It should be fun. I also came across this very creative Advent calendar/garden idea and so am working on a succulent Advent calendar too. I love the suggestion from the post Celebrating Advent with Children, to make an Advent calendar with matchboxes, placing slips of paper in each one with different activities to do each day. Some of these are simple fun games to play, others are ways to reach out with acts of kindness and still others are family activities that are fun to do together. Advent in a Jar is a simple but effective way to help children enter into the season of Advent. Make a prayer jar with your kids in November before Advent begins. Use strips of paper rather than wood so that you can fit 24 or more days of activities, scriptures and prayer points that lead up to Christmas into your jar. Pull one out each day as a way to focus your kids attention on the real meaning of Christmas. Another possibility is this recycle bin Advent calendar. – what a great way to introduce kids to the season and to the need to be more responsible. The combination of inward reflection and outward caring is wonderful. Countdown Christmas Traditions used to have a fun kid friendly Advent calendar where as you clicked on each day of Advent you read about traditions in different countries of the world. Unfortunately it seems to have disappeared but you could use The Christmas Around the World site to create your own list of traditions to talk about with your kids. You could use matchboxes or just write the name of a country on pieces of paper, put them in a jar and pull one out each day and then talk about the traditions of that country. CAFOD: Just One world in the U.K. has some great Advent liturgies available as well as a downloadable Advent calendar for kids. Susan Forshey put together this helpful Advent calendar Forty Days of Joy and Love which is a great concept to use for your Advent calendar without investing in funky toys or more unnecessary chocolates. Catholic Mom has downloadable instructions for an Advent chain which has some similarities to an Advent calendar, but is especially designed to encourage kids to think beyond themselves at Christmas. A couple of years ago Jill Aylard Young put together a similar kit called Advent in A Jar which we have published this year. It is downloadable for free from Godspace. If you wanting to establish new traditions to enjoy with your family or friends, read through these descriptions of traditions from around the world and discuss the possibility of adapting some of these as part of your own celebration during the Advent and Christmas season. Buzzfeed life has a wonderful array of recipes associated with the Advent and Christmas season in many different parts of the world. Just reading through some of these has my mouth watering. Choose a few to make with your kids and create some special prayers for the countries the traditions come from at the same time. I love to experiment with new recipes from different parts of the world especially for our Advent Open house. Set up a nativity set. This is always a fun activity that tends to grow even more important as we age. Set it up with the manger empty and the wise men at the other end of the room or house. Throughout the Advent and Christmas season the wise men move closer to the manager and of course on Christmas morning the Christ child appears in the manger. One of my friends has a rich collection of nativity sets from around the world which she sets up in different parts of the house to remind her that the story of Jesus is powerful in every culture. World Nativity has an amazing set of images of nativity sets from Africa, Asia, Latin America and Eastern Europe. YonderStar is another site that sells Nativity sets, many of them fair trade. They also contribute 10% of their profits to Nature Conservancy and Food for the Poor. One creative twist on the traditional nativity set is to give each family member an empty manger on the first Sunday of Advent. A small cereal box covered with bright paper will do as well. At bedtime, the children draw straws for each kind deed performed in honor of baby Jesus as his birthday surprise. The straws are placed in the child’s manger or box daily. It is amazing how much love a child can put into Advent when she or he is preparing for his redeemer’s coming in grace. On Christmas, each child finds an infant in his manger, placed on a small table or a chair beside his or her bed. Usually it is a tiny doll, beautifully dressed. This custom fills the child with a longing in Advent, and provides an image of the redeemer as the first happy glance in the morning and the last impression at night during the entire Christmas season. Each day of Advent a homemade ornament is added to the Jesse Tree, a small tree made of evergreen branches. These symbolic ornaments can each represent a prophecy foretelling of Christ. Other variations include creating ornaments that represent the ancestors in the lineage of Christ, or using the various monogram symbols of Christianity as handmade ornaments. Before a symbol is hung on the branch, a Bible passage or a story from a story Bible is read. My Jesse Tree: The Ultimate Guide has a good explanation and lots of ideas on how to make a Jesse tree.